Need a spot in the garden where you can kick back with a good book or perhaps take an afternoon siesta in the sun? 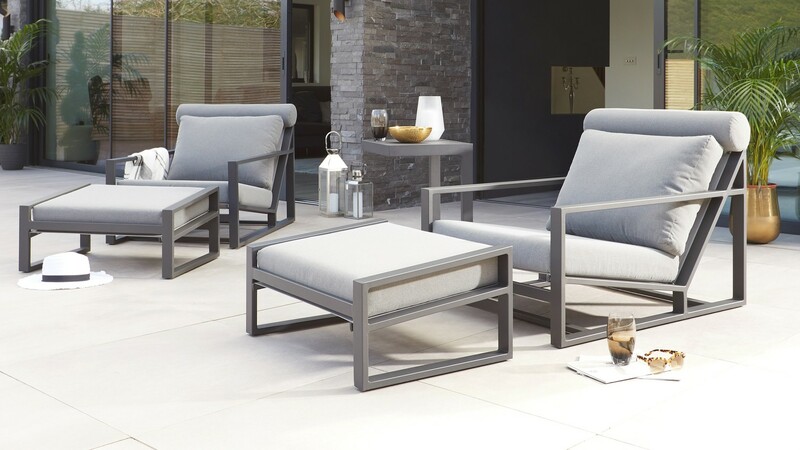 We’ve got just the thing - the Verano Grey Garden Lounge Chair and Footstool. 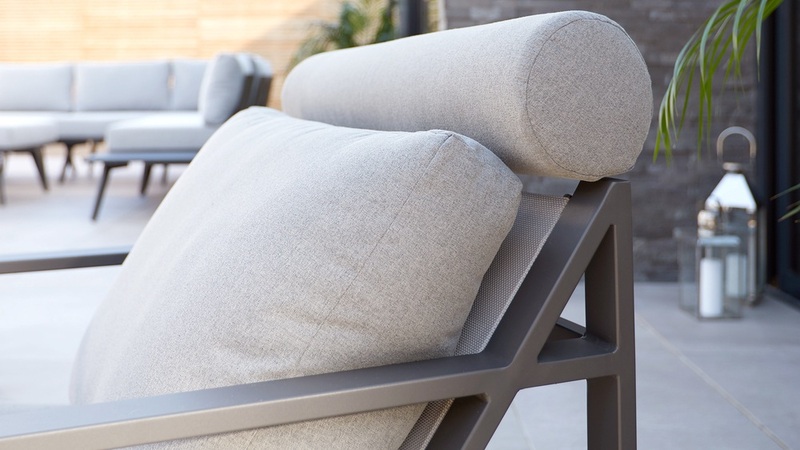 Taking inspiration from traditional sun loungers and garden steamers, the Verano Lounge Chair is a generous size with supportive head rest and footstool. The Verano is comfy, it looks cool and it’s robust enough for the garden… what’s not to like? When purchasing a lounger it needs to be ultra comfortable, and that's why we've made sure the Verano cushions are deep and sumptuous so you can truly sink back and relax. 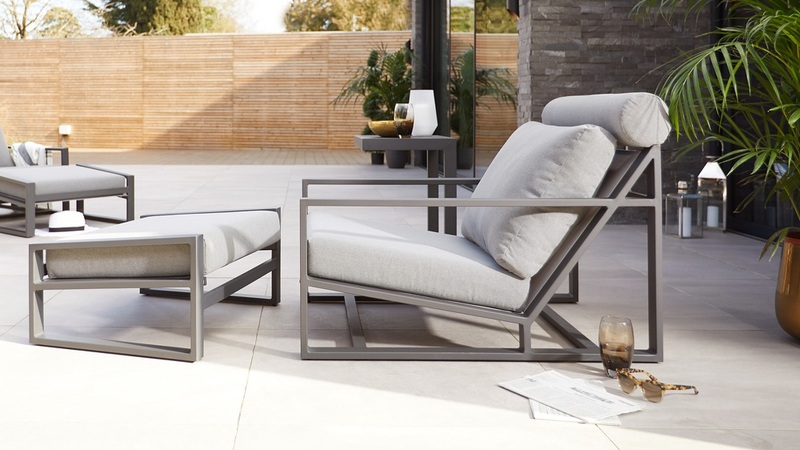 The frame of the Verano lounger is made from aluminium. This makes the chair light enough to move around the garden without too much trouble. Although aluminium is light, it is incredibly strong and doesn’t naturally rust, so it’s perfect for use in the garden. The seat and back of the Verano have a breathable gauze which gives extra cushioning to the seat, that you wouldn’t experience with a hard, wooden lounger. The gauze sling is made from a coated plastic so it is ideal for outdoor use. The frame is finished in a grey powder coat which produces a sleek matt finish. Powder coating is easy to clean and maintain, meaning you’ll get to spend more time relaxing, not cleaning! The cushions on the chair and footstool have been treated with a showerproof coating. This prevents moisture being absorbed into the cushions so you don't need to take the cushions in every time there's a light shower. 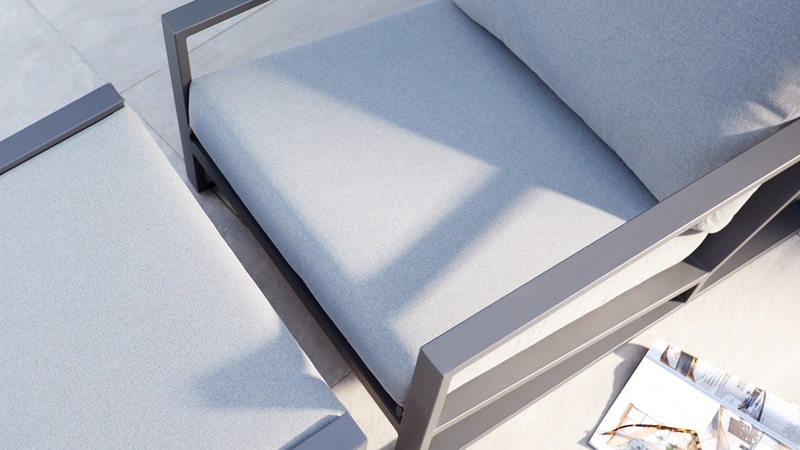 To keep the cushions on the Verano Lounge Chair and Footstool looking their best, we’ve added an anti-UV coating to help prevent the colour from fading in the sun. While most fabrics will fade slightly when exposed to direct sunlight, the anti-UV treatment slows the process drastically meaning your cushions will look great, for longer. 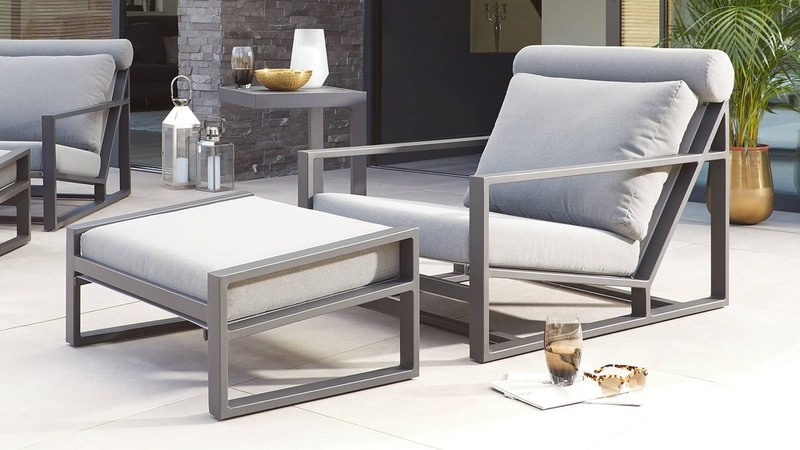 The Lago Grey Side Table would be an excellent addition to your garden lounge zone. Check out the Savannah Garden Sets for a similar style dining bench.